Liberté, égalité, Patisserie! 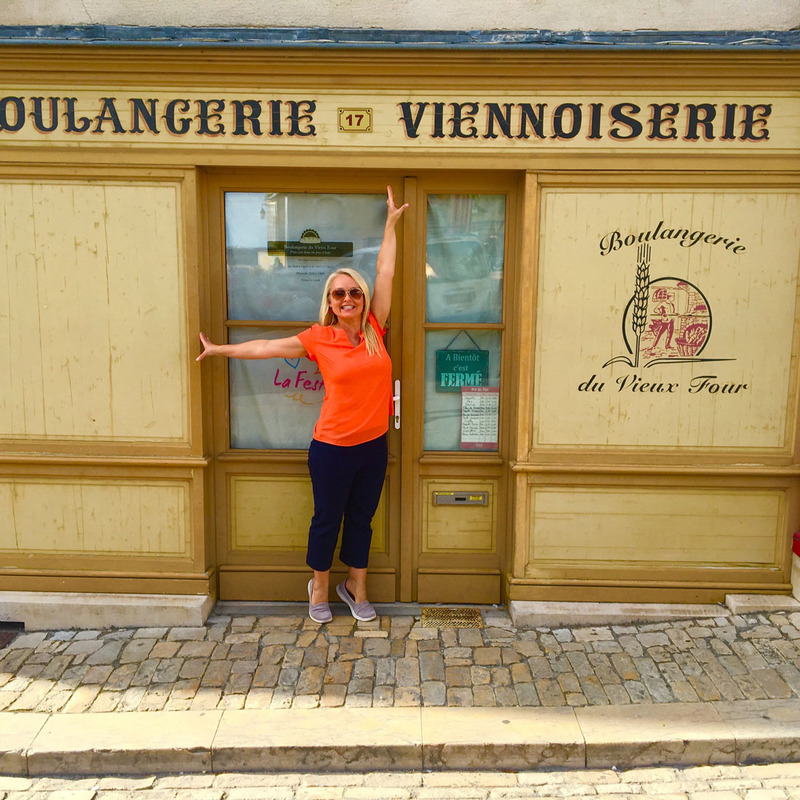 While that may not be the official motto for the most beautiful country in the world, it’s what you’ll be saying after you’ve tasted the most delicious pastries, and explored some of the most magnificent cities and quaint provincial towns in France. Paris is of course the dream destination for most romantically-minded travelers, with its picture-perfect scenes of the twinkling lights of the Eiffel Tower, finally seeing the Mona Lisa in the Louvre, whiliing away an afternoon at a cafe, wandering along the banks of the Seine, and perhaps, just perhaps, indulging in a mille feuille or two. Or three. But don’t limit yourself to just the City of Light when you visit France. There are incredible small towns and villages to discover too, packed with charm and history. The best way to access and explore these small towns is by river cruise. While the larger cities like Paris and Bordeaux are a piece of gateaux to fly in and out of, trying to map out and drive to some of the small French villages would be a huge mal de tête. River Cruising is the only way to go. It’s the perfect balance between those super-sized ocean liners and a land hotel – except this hotel floats along with you, so you only have to unpack once. And the food is incroyable. What could be better? 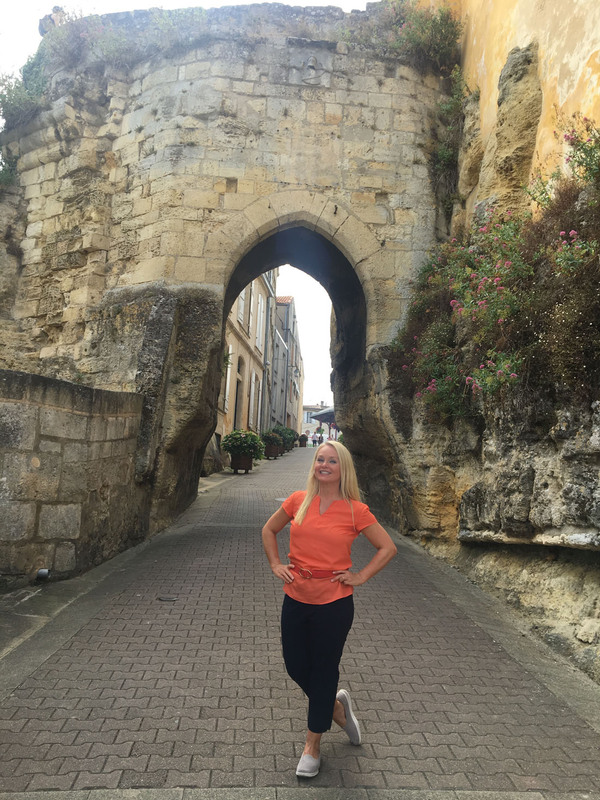 I recently sailed on the Bordeaux cruise through some of the most picturesque villages in France, aboard AMAWaterways, with short land tours in Paris and the Loire Valley before and after the cruise. It was the perfect way to see both the well-known and not-so-well-known parts of beautiful France. 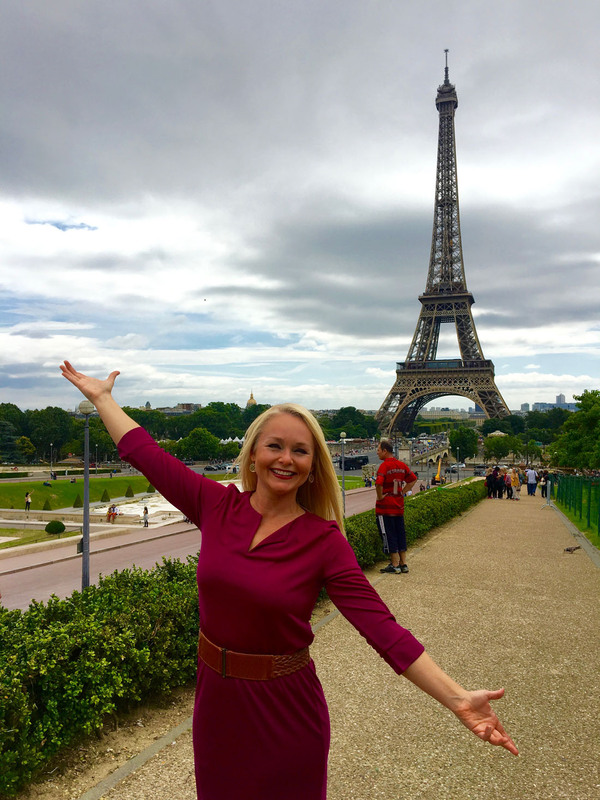 Here’s a few French travel tips and what you’ll love in each city or town. France Travel Tips: Manners are still king here in France. Even if your accent is terrible, learning and using a few simple French phrases will be greatly appreciated. These phrases below were enough to get us where we needed to go in a taxi, metro and train. Parisian cafes aren’t as snooty as you may think, just don’t seat yourself, or start moving chairs without checking in with the waitstaff first. Bonjour, Madame & Bonjour, Monsieur: Unlike in the US, you must make eye contact and greet the store owner when you enter a shop. S’il vous plait & Merci Beaucoup: Please & thank you will get you far. Combien? : How much is the…? Ou est le/la…: Where is the…? Paris: Aahhh, Paris. What’s not to love? Yes, of course you must visit the Eiffel Tower, The Louvre, The Seine and Notre Dame. But I recommend memorizing those French phrases putting on your most sensible walking shoes to take on those cobblestone streets, and getting lost! Well, not truly lost, but wandering the medieval streets of Paris in the Latin Quarter, on the Ile de la Cite, or Montmartre is the best way to discover hidden Paris. It’s amazing how many little cafes, old bookstores, patisseries, boulangeries and quirky boutiques you’ll find. Bordeaux Region: This is the region of the country best explored by river cruise. The little towns we visited, like Pauillac, Cadillac, Libourne, Bourg and Blaye, each have a distinct feel and history, but would be a little tricky to try to reach by car. What you’ll love: These medieval, and some ancient, towns all feel like you’re stepping back in time. Most residents don’t speak English, and yes, we actually saw a few elderly gentlemen wearing berets. Some of the towns still have bits of their medieval walls or gates intact, and the ones built up on a hill are fascinating to explore and get lost in. Being a small town full of tradition, if you visit on a Sunday, nothing will be open, and you may not see a soul out on the streets. Sundays are still observed as a day of rest and for family gatherings, so doors and window shutters will be closed tight, but you’ll hear laughter inside. If you visit on a market day, you’ll be charmed by all the local farmers, bakers, merchants in the market square. And oh the boules and baguettes. This is one French stereotype that is 100% true. The bread here is amazing, and yes, you will see the locals walking with their daily baguettes. Bordeaux is a big city, so has a completely different feel. Begin your journey at Place de la Bourse, the Parisian-looking wall of buildings facing the Garonne River, built in the late 18th century to hide the crumbling Medieval villages behind it. The Gros Cloche is one of the few remaining bits of the medieval wall. It’s named after the bell on top (Gros Cloche translates to Big Bell), and at the bottom is the lancet-shaped gate, that used to be the main entrance to the town. If you’re an art and architecture nut like me, you’ll also love the Opera House, and the symbolic Monument aux Girondins, overlooking the Place des Quinconces. Almost as big as the Trevi Fountain in Rome, there’s Concorde, the goddess of France, with her four horses with webbed feet, symbolizing the power of the rivers. Loire Valley: The land of fairy tale castles. Literally. This is where Disney animators got their inspiration for ‘Beauty and the Beast’ and other films. And it’s easy to see why. The Loire Valley is where French royalty built their castles during times of peace and prosperity during the French Renaissance. We visited Château de Chambord, Château de Chenonceau, Chateau d’Amboise and others, each more beautiful than the last. One of the most interesting is Chateau du Clos Lucé, where Leonardo da Vinci lived his final years. He brought three masterpieces here, including the Mona Lisa. When you visit today, you’ll see 3-D models of his inventions, like his flying machine, a military tank, and the parachute, all taken from his thousands of sketches. 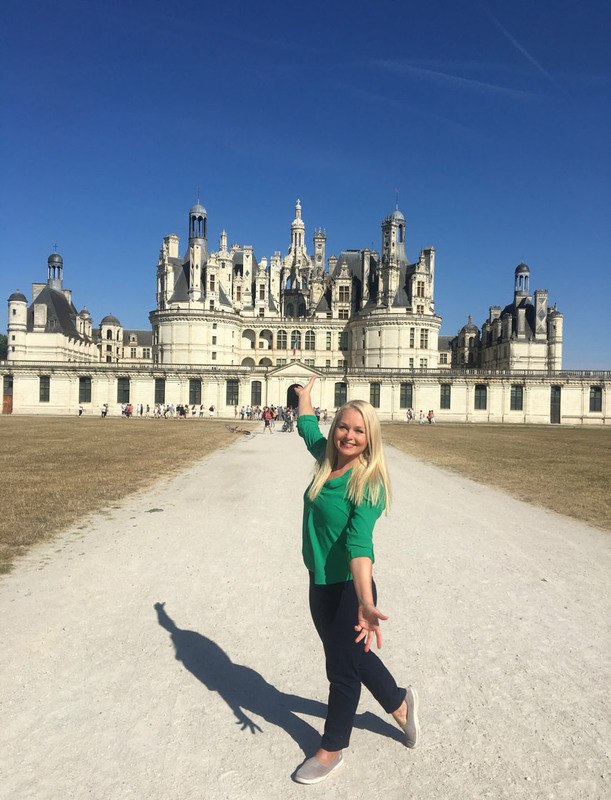 The largest and most magnificent castle in the valley is Château de Chambord, with 440 rooms, 365 fireplaces, more than 800 sculpted columns, and 84 staircases. One of those staircases is the famous double helix staircase, with two separate staircases that wind around each other up three flights, without ever touching each other. Leonardo da Vinci is believed to be the designer. Climb up to the top, and step out on to the terrace for a closer look at those sculpted columns. It’s incredible. Like an entire village of carefully carved mini-castles, atop the giant one. C’est magnifique!